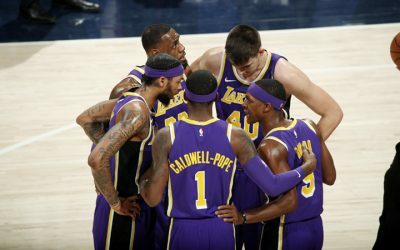 While rumors continue to swirl about who will and will not be a member of the Los Angeles Lakers after Thursday’s trade deadline, the Lakers still had a game to play on Tuesday before they get there. But in their trip to Indianapolis, LA showed an inability to ignore the buzz and focus on basketball. The Lakers went to Indiana and got routed, falling 136-94. It was LA’s second straight loss and second in three games since LeBron James returned from a groin injury that sidelined him for more than a month. For James, it was the most lopsided loss of his career, and one of the most lopsided in Lakers history. 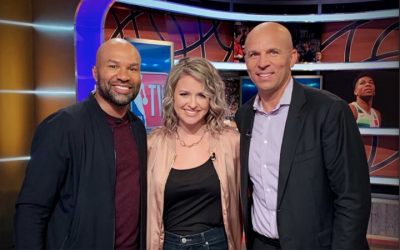 Afterward, on Access Sportsnet Postgame on Spectrum SN, Derek Fisher pointed to the team’s lack of focus on the game as a key issue in their defeat. The number of the night was 19, as Indiana sank a franchise record 19 three-pointers and the Lakers turned the ball over 19 times, leading directly to 33 Pacers points. Watch D-Fish, Big Game James Worthy and Chris McGee break it all down below!